Take a local bus for Mangho at Gangjin-gun Bus Terminal (10-15 minute walk from the Express Bus Terminal) and get off at Baengnyeonsa Temple Entrance. 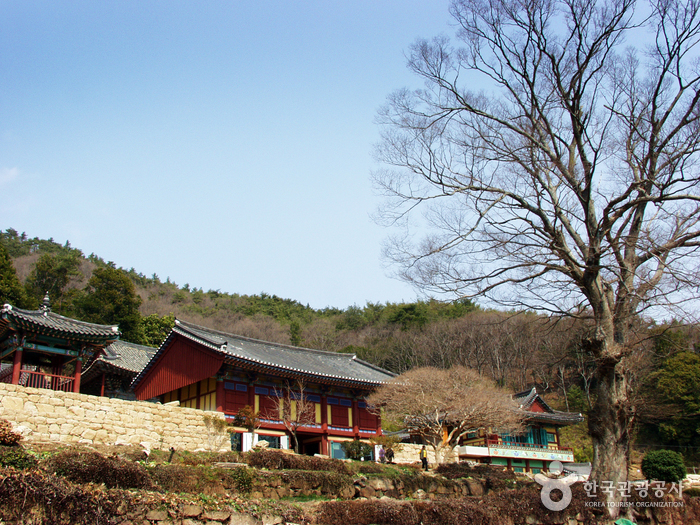 * As it takes about 20-30 minutes to go up to Baengnyeonsa Temple, you might want to consider using a taxi. 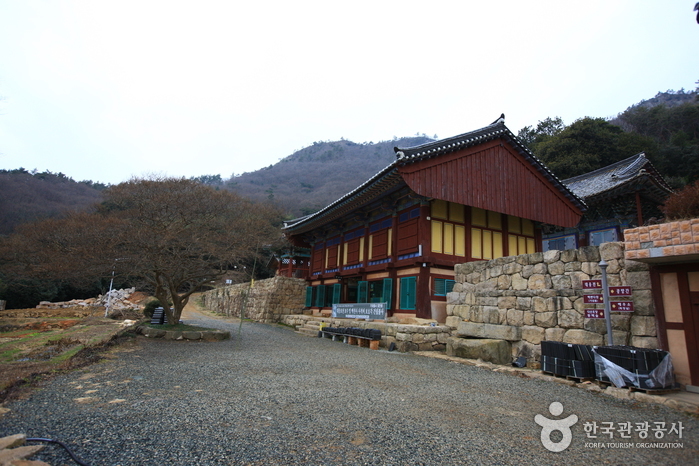 The original name of Baengnyeonsa Temple was Mandeoksa Temple, said to have been built by Preceptor Muyeom during the Silla period (King Munseong). Later, Preceptor Wonmyo rebuilt it in the old site during the reign of King Huijong (7th year) during the Goryeo period. 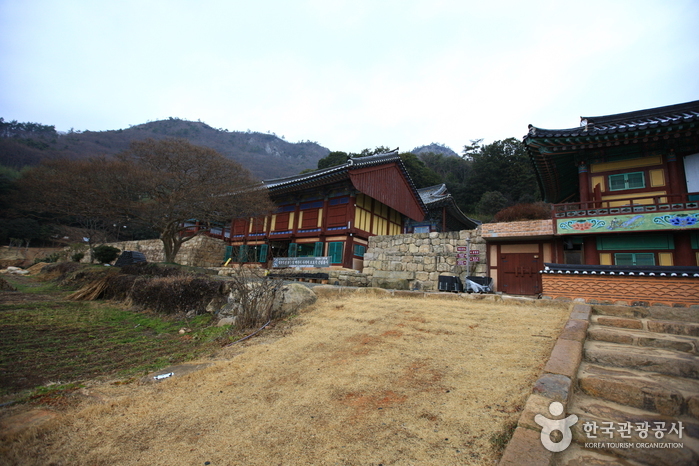 He gained fame as Baengnyeongyeolsa so the temple began to be called Baengnyeonsa Temple. 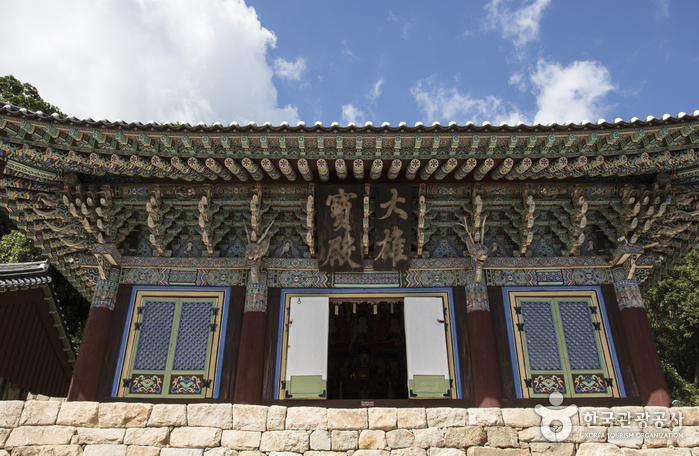 Baengnyeongyeolsa has produced eight preceptors of Goryeo and flourished throughout 120 years. 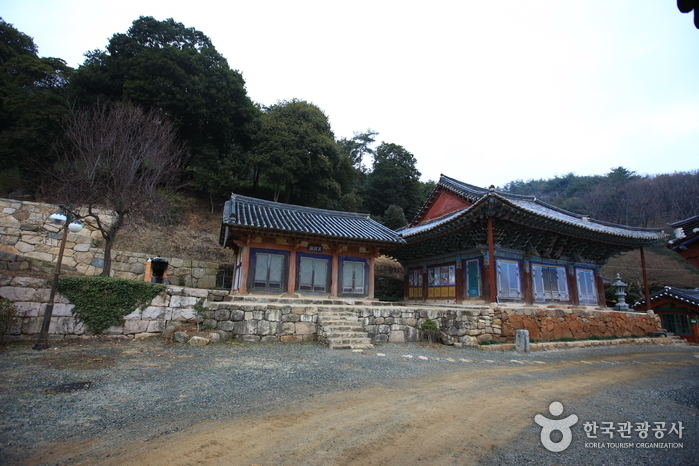 In addition, the area is famous as the location where Dasan Jeong Yak-yong had deep communications with Master Hyejang regardless of religions and ages when he was banished to Gangjin. 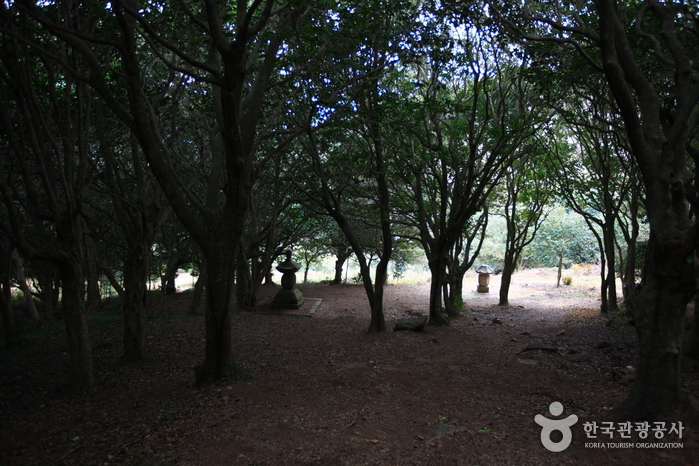 The temple’s most popular attraction is Forest of Common Camellias, designated as Natural Monument No. 151. 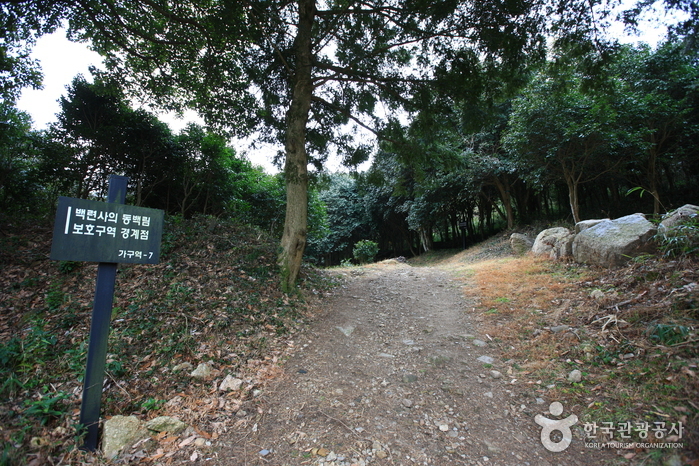 The Camellia trees, skirting the road to the temple, make up a forest covering the area of 3,000 pyeong (9,917 ㎡) over the ruined Haenghotoseong Earthen Fortification next to a memorial stone. 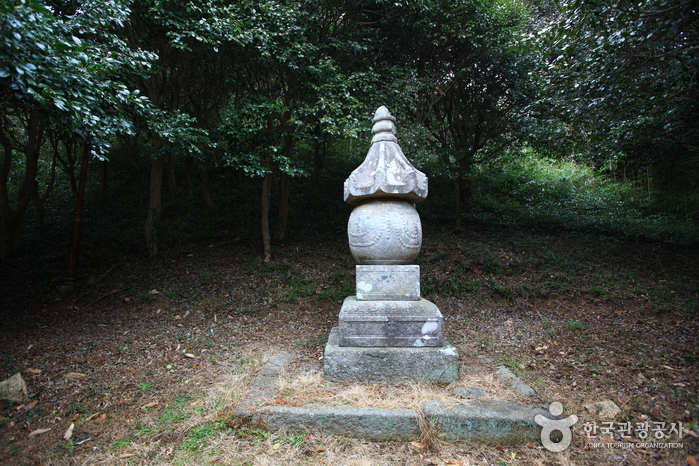 In the forest, four stupas of Goryeo and Joseon Era are scattered like hide-and-seek. The forest features a tranquil ambience all year long even in daytime, thanks to the thick, green leaves. From November, the camellia flowers are in full bloom and the forest becomes red, beautiful enough to inspire visitors. 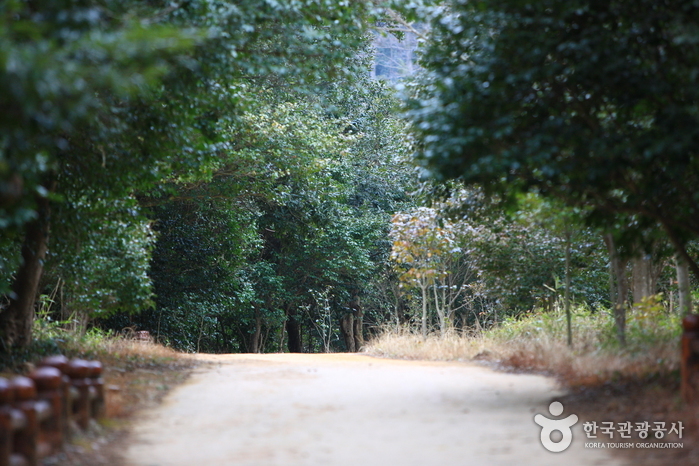 After passing the forest on the way to Dasan Chodang, visitors can glimpse a colony of tea fields and wild tea produced by Baengnyeonsa Temple. The mountain where Baengnyeonsa Temple is situated has had wild tea fields grown from Goryeo Era so that it was called ‘Dasan.’ For this reason, Jeong Yak-yong’s pen name is ‘Dasan’ which holds the valuable meaning of his banishment here.